In 2016, filmmaker Damien Leone created a new horror boogeyman by releasing the killer clown movie Terrifier. Starring David Howard Thornton as Art the Clown, the movie managed to impress fans and critics enough to earn a 73% fresh score on Rotten Tomatoes. Different from many other evil clown movies, there's a certain charm to Terrifier which makes it very fun to watch for horror fans. Without spoiling it here, the ending of the movie does leave the door open for a potential sequel. Recently, Leone confirmed on social media that he's been working hard to bring Art the Clown back in another movie. In an image posted on Instagram, Leone reveals the cover page for a screenplay titled Terrifier 2, promising that Art is back and "badder than ever." It's wise for Damien Leone to bring fans a sequel to Terrifier sooner than later. Sequels sell, as we have seen. The highest-grossing slasher movie of all time is last year's Halloween movie from director David Gordon Green, which served as a sequel to John Carpenter's original. Because fans have responded so well to the Art character, it will be nice to get a sequel with the character still so fresh in everyone's minds. Creating a modern horror icon can be incredibly challenging for any filmmaker, given how much fans still love the classic bad guys like Jason Voorhees and Freddy Krueger. Even those who may not enjoy Terrifier would have to agree that its villain is very unique and memorable. Leone's directorial debut came in 2013 with the anthology movie All Hallows' Eve. It was this movie that included scenes from the original Terrifier short film with the Art the Clown character. Producer Jesse Baget saw lots of potential in Art, convincing Leone that the character was compelling enough to star in his own anthology movie with different shorts centering around the clown. Leone passed on this idea, ultimately deciding to feature Art in a standalone feature based on the original short. At this point, all we have is the confirmation that the sequel has been written and is in the works. However, we're still pretty far from knowing when the movie can be expected to release, as shooting has yet to begin. 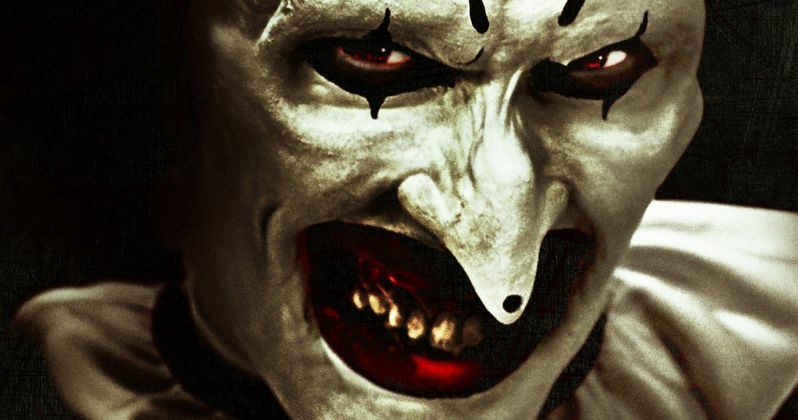 In any case, fans of the first movie can be satisfied to know that Art the Clown will be back, and hopefully the new movie will be just as fun as the original. You can see Damien Leon's Instagram post confirming the sequel's production below.